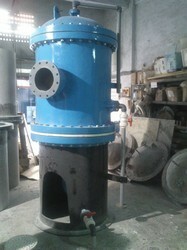 We are the supplier and exporter of excellent range of Cartridge Filter. These products are highly appreciated by client because these are manufactured by high quality material. We are renowned names in the industry, offering an extensive range of FRP Cartridge Filter that are easy to install and requires minimum maintenance. Our entire products range is functionally advanced in nature and is used to purify the water. They are effective in extreme corrosive conditions and are delivered with customized solutions. 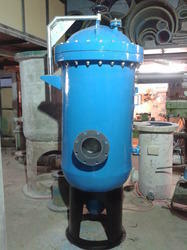 Ideally suited for Desalination plant. Davit arm and wheel are epoxy powder coated or hot dip galvanized for corrosion resistance. All equipments are manufactured in compliance with international standards such as BS4994, ASTM4097D, EN13121 etc. The equipments are designed by our experienced engineers using sophisticated custom built software & are tested with our in house testing facilities. Being the leading names in the industry, we offer our clients dimensionally accurate range of Cartridge Filter that is appreciated among the clients for durable standards and high efficiency. They are easy to install and are performance based. Owing to the exceptional range of products, we are able to deliver an exceptional range of products. 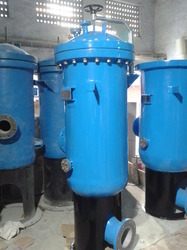 Owing to years of experience in the industry, we offer our clients a comprehensive range of GRP Cartridge Filter that is used in different industrial water plants and desalination plants with the water have high TDS. We offer them in varied technical specifications and are corrosion resistant in nature. Client can avail them in varied sizes. Many industrial Water treatment plants & desalination plants handle water having extremely high TDS. This demands for exotic quality of SS like Super duplex as an MOC for the filter housings. 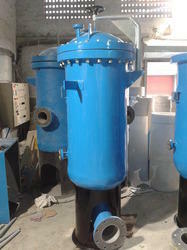 We have indigenously developed and are successfully supplying micron cartridge filter housings made out of PP + FRP which offers extremely good corrosion resistance at 1/4th cost of duplex steel materials. All housings are custom made to accommodate different number cartridges as per site conditions.